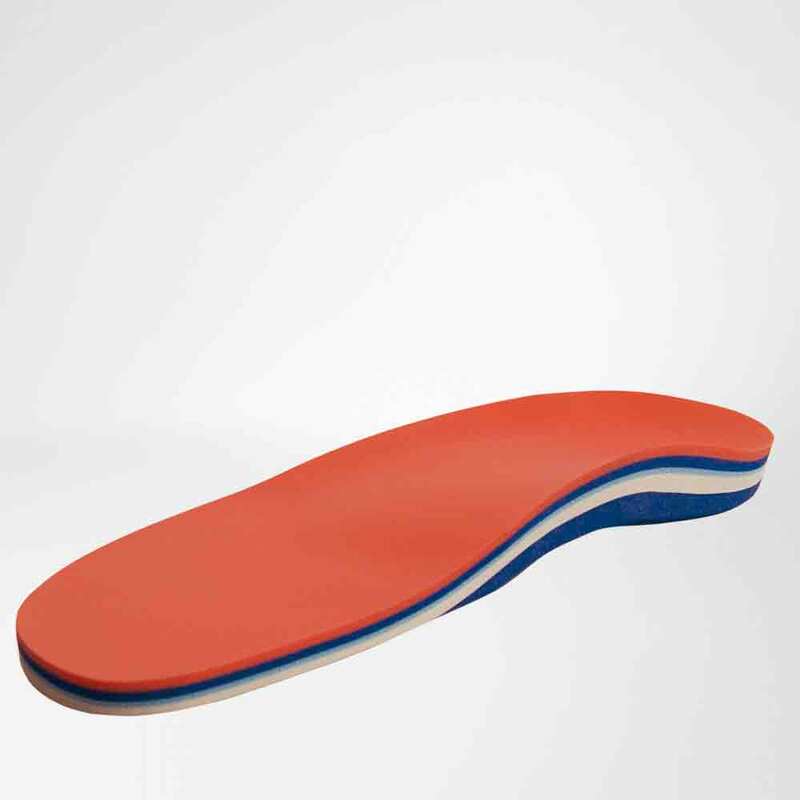 Specifically designed for "diabetic foot syndrome" and "rheumatoid foot deformities". The construction of the foot orthosis is specifically designed for "diabetic foot syndrome" and "rheumatoid foot deformities". It can be worn in comfort shoes or special diabetic shoes. The particularly thick cushion layer, made of high-quality cushioning materials and consisting of three layers, ensures an even redistribution of pressure, a reduction in load peaks and a long functional life. The base layer does not have any pre-shaped transverse arch supports. The EVA/PE layer is harder and provides support for the foot, especially the instep. Indications: Diabetic foot syndrome, rheumatoid foot deformities, flat foot/splayfoot, Pes valgus, Mild and moderate severity of hollow foot, Post-traumatic foot deformities, Talagia, Knee joint/back pain.